We had a rainy day, so we created some free lens flares and particle effects for anyone who would like to use them for personal or commercial work. Just screen the flares or particles over your project and you are on your way to create some amazing work! Feel free to email us links showing how you used our effects. We would love to see them! ENJOY! 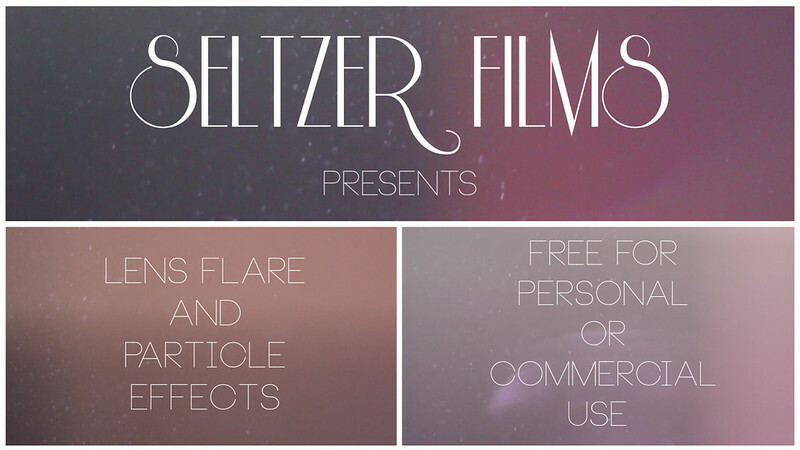 Seltzer Films Free Practical Effects from Dustin Seltzer on Vimeo.